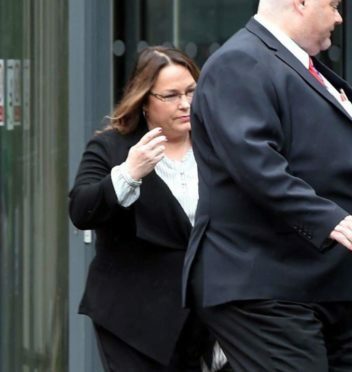 DeeAnn Fitzpatrick said she was subjected to such bullying by male colleagues at the Marine Scotland office in Scrabster, Caithness, that she contemplated suicide. She raised a series of complaints against the government agency during a two-day employment tribunal in Aberdeen in June, and her lawyer asked that she be awarded up to £42,000 in damages. Last night, Ms Fitzpatrick’s family released a statement indicating that the panel had not upheld her complaint. The family added that the decision was “not unexpected”, as the alleged incident where Ms Fitzpatrick was bound to a chair could not be taken into account because it happened too long ago. He described Ms Fitzpatrick as “capable of making malicious allegations” and said the cards could have been sent by “disgruntled fishermen”.